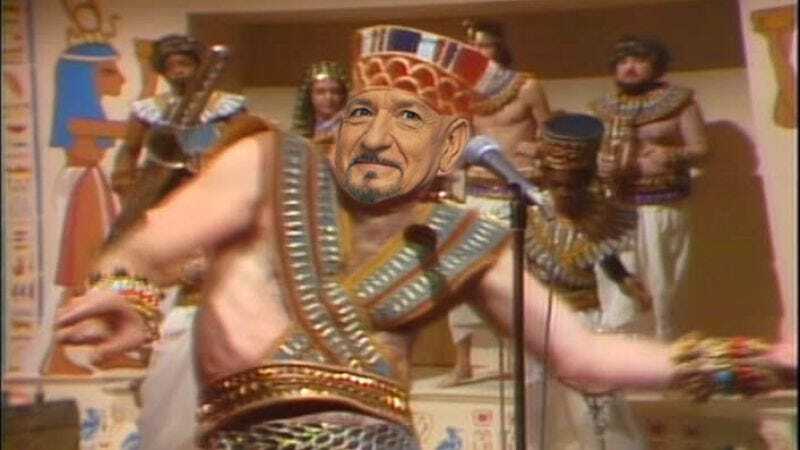 Spike TV is moving ahead with what the network is calling “the biggest and most ambitious project in Spike’s history,” a miniseries about legendary Egyptian ruler King Tut. Oscar winner Sir Ben Kinsgley has joined the cast, in what is an unfathomable casting coup for a network best known for wrestling and reruns of Cops, with the occasional hard-hitting drama like Bar Rescue or Tattoo Nightmares. Kingsley will play Ay, the Grand Vizier to Tutankhamun, a boy king more or less at the mercy of his advisors. As previously reported, the show will explore Tut’s rise to the throne, and then the fight among those advisors to be the power behind that throne. Why, it’s almost as if they’re playing a game of some sort—a game involving thrones.